The latest trend in the culinary landscape is to take a trip on the carnivorous side. So, what are the latest meat fads? According to Bob Adrian of BNC Foods and Rump’s Butcher Shoppe in Altoona, pork bellies, meat on a stick, exotic meats, and all things bacon are popular right now. This amalgam of options will prompt the craziest of meat-induced fever dreams, and it seems like the Chippewa Valley community is on board. Pork bellies are staging a comeback this season. While the usual meat staples of the American meat eater’s diet have been chicken and beef recently, pork is set to take the spotlight. The Chippewa Valley is going whole hog as the uncured, unsliced cousin of bacon takes center stage. According to the Detroit Free Press, “Chefs consider pork belly far superior to bacon.” You can cook it with the skin on or off, it all depends on preference. Braised or roasted, take your pick. Meat on a stick. What could be better? A tasty and portable cuisine you just want to sink your teeth into. It sounds like a mouth-watering taste sensation that will rock any omnivore’s world. While the origins of meat on a stick predate the Ottoman Empire in Turkey and their affinity for shish kebabs, local foodies are putting their own spin on this old favorite in new and exciting ways. Pick any kind of meat, dress it up with a marinade or rub, intersperse a few vegetables here and there and you’ve got a meal that puts the fun in functional. When Adrian says “exotic meats” are piquing peoples’ interest what comes to mind? According to Reviewed.com, the eight most popular exotic meats are bison, alligator and crocodile, goat, venison, wild boar, game birds, ostrich, and elk. While some of these delicacies might be a little distant for most local cuisine, the most outlandish of home cooks will never be stopped by scarcity. 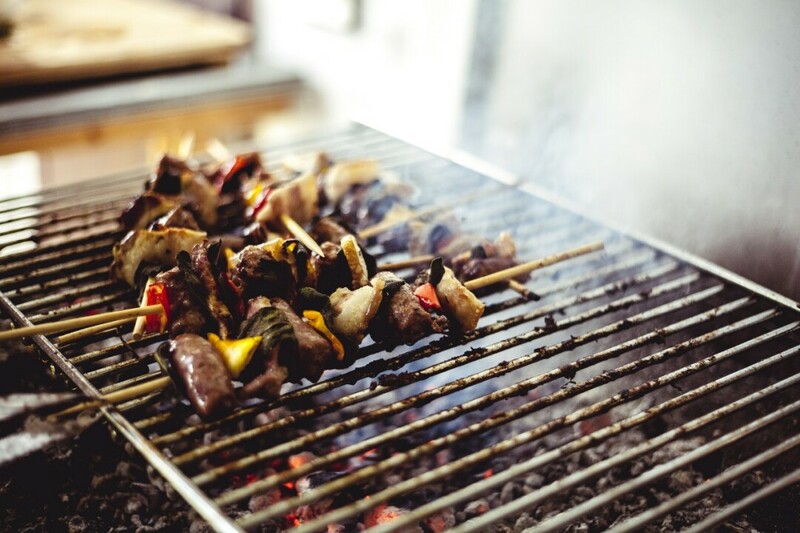 Jazz up a barbecue by trying out one of these exotic meats, just make sure to do research for how to cook it! Also popular this season is a tried-and-true culinary hero, a jack of all trades seen everywhere from omelettes to burgers – bacon. Salivating already? Bacon basically goes with everything, but sometimes a little creativity may be needed to make a culinary dream work. From appetizers to main dishes to sides, bacon could be an integral ingredient to any part of a meal. Put it on a sandwich and go for that classic BLT, or wrap it around corn on the cob to welcome summer with a bang. With a host of options available, one question remains: Which one are you gonna try first?